Recently, there has been no better way at keeping up with what is going on at STERN Pinball than to follow their Facebook page. For those who have been following it lately then you already know that Stern seems to be fishing for what will interest players the most for their next game and in addition to a pin themed after a heavy metal band(why not pick up the ready-made Metallica pin? 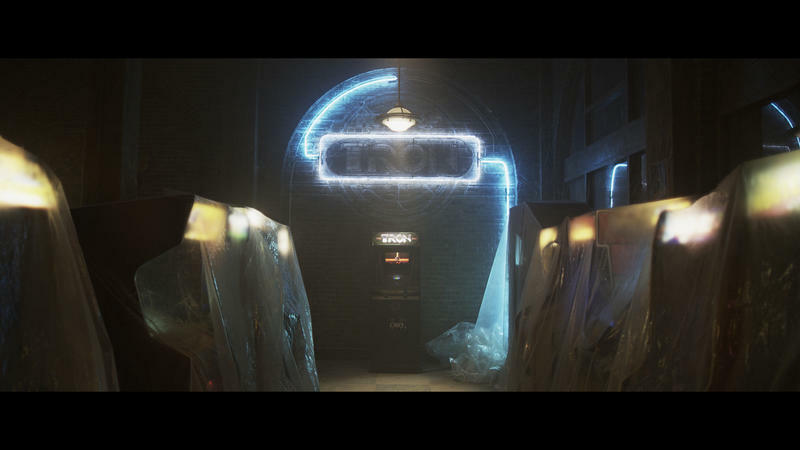 ), they also have been dropping not-so-subtle hints about the possibility of a TRON-themed pinball game. First it started with a post where they simply asked how excited their users were about the new TRON movie. Then today they showed a picture where they are looking at some Electroluminescent wire(EL wire for short), which would fit perfectly with a TRON game. Honestly I think that a ramp made out of sturdy EL wire would be awesome for any pinball machine or simply for decoration but in a game like TRON it’s essential for that vector effect. Funny enough, this is one idea I had talked about for a bit in my post where I was contemplating some ideas for a TRON based coin-op game in modern times, back in July. Right at the bottom I wrote several paragraphs of what I would like to see in a TRON pinball game, including the use of EL Wire, so I’m glad it’s being considered. Whether any of the other suggestions I had will make it in is doubtful – I’ll keep crusading for the retirement of the old dot-matrix displays but I hold out little hope that such a change or other innovations will be making their way into pinball anytime soon. The same goes for my idea of color-changing targets, which would be easy enough to implement with multi-colored LEDs. Assuming that they want to have the game ready to go to coincide with the release of the movie then they would have to have been be working hard on the machine for some time now. This would be a great way for TRON to come back to where it belongs in the gaming world – in the arcade since a video game doesn’t seem like it’s going to happen right now. The level of marketing that Disney is throwing behind the movie is a plus for the pinball although Stern really should work something out so that Disney mentions the pinball machine in their marketing, otherwise most moviegoers will have no idea that the pin exists just because it’s out there. If Stern is going ahead with a TRON Pinball machine then it’s already at the top of my most anticipated games list, but that’s because I’m a huge Tron nerd. Just because it has that name slapped on there won’t make it a fun game but the possibilities of what could be done are great. My fingers are crossed. The funny thing about this was that a lot of us asked George Gomez about this during his chat session over at VPForums.org. Since he worked on the original Tron arcade game, people asked him if he would consider doing a Tron table. He said he would love to, but since he’s working in the slot business now, he would have to be consulted by Stern for the project, and with Stern’s cost cutting measures of late, I doubt this would happen with him. I can dream though. I don’t know why, but I would be storngly tempted to sell my Pirates of the Caribbean to get a Tron machine, and I haven’t felt that way about any of the newer Sterns. I don’t know if the wife would go for it though.